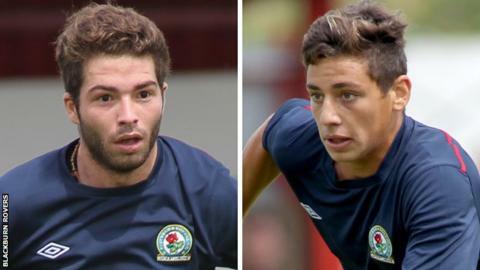 Blackburn Rovers are set to complete the signing of Portuguese pair Paulo Jorge and Edon Junior. Jorge, 19, signs from FC Porto where he played in midfield for the Primeira Liga champions youth side. Striker Junior, 18, also known as Edinho, had previously had a trial at Celtic and joins from SC Olhanense. "Both players have great ability and potential and we are delighted to add them to our squad," manager Steve Kean told the club website. Rovers have already added two players from Portugal this summer, signing experienced striker Nuno Gomes and youngster Fabio Nunes.